Professor Cobb studied medicine at Magdalen College Oxford, graduating in 1982. He trained in Oxford, London and Brighton. He wrote his master’s thesis on ‘Prognostic factors in operable osteosarcoma’. In 1991 he was appointed consultant orthopaedic surgeon at The Middlesex Hospital. He was awarded a Hunterian Professorship in 1992. After 15 years as a consultant at UCLH and Hon Sen Lect at UCL, he joined Imperial as chair of orthopaedics in 2005. In 1992 the special trustees of The Middlesex, awared his first grant, which led to the development, with Brian Davies, of Acrobot, the world’s first haptic based robotic assistant, which is now being sold in the USA by Stanmore Implants. 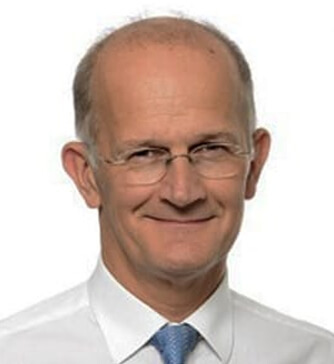 Professor Cobb is the head of elective surgery at Imperial College Healthcare NHS Trust and academic orthopaedic surgery at Imperial College London. He has pioneered computer-assisted and robotic surgery for 15 years. His department is at the centre of a revolution in orthopaedics, optimising hip and knee replacement function through accurate and precise 3D positioning. This involved educating surgeons from around the world and performing operations at Charing Cross and a newly opened centre for the analysis of problem metal-on-metal hip replacements. As chair of Orthopaedics, and clinical lead at hospital, Professor Cobb leads a team of surgeons, investigators and educators training both under- and post-graduate students in surgical skills and the use of IC developed computer based and robotic technologies to improve outcomes. Professor Cobb is advisor to the board of Stanmore Implants, a spin-out from UCL. He is a civilian advisor in orthopaedics to the Royal Air Force, and is Orthopaedic Surgeon to Her Majesty the Queen.